The PC series, designed for dry food packaging applications, offers a small footprint with a compact pedestal design with 6” of clearance. The PLC controls with touch screen allows for multiple job recipe storage. The machine automatically splices the end of the expiring roll to the leading edge of the new roll, eliminating the need to stop your production line to change rolls increasing production and eliminating waste. Designed for dry food packaging applications. Small footprint with compact pedestal design, 6” of clearance. PLC controls with touch screen for multiple job recipe storage. 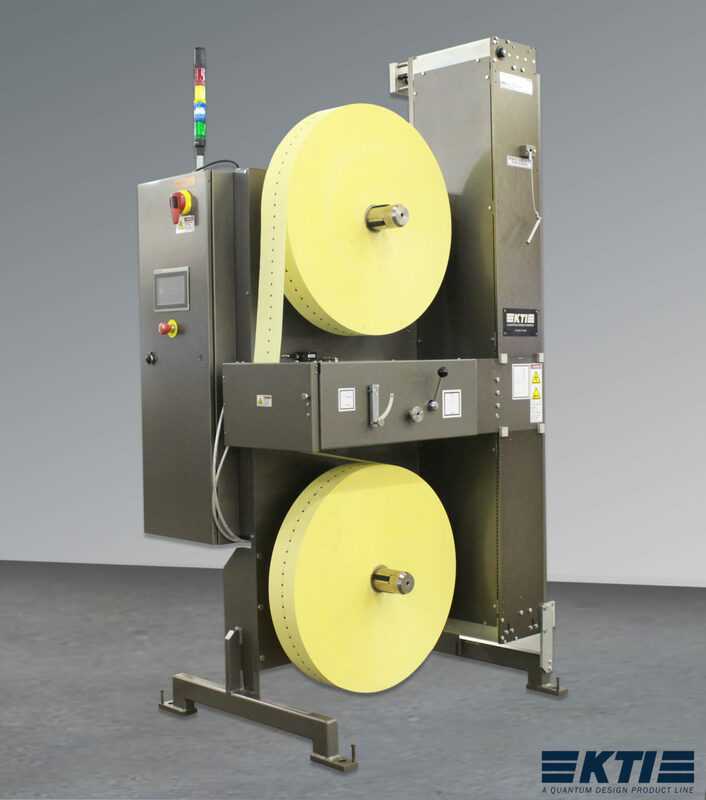 Automatically splices the end of the expiring roll to the leading edge of new roll eliminating the need to stop the production line to change rolls.